I just spent last weekend riding Ol’ Faithful, my 2008 Honda CRF450R, up in Mammoth, California, on trails very similar to those I rode in Nevada City on the Alta Redshift EXR. Riding up in the Sierra Nevadas is an absolute must for any off-road or dual-sport rider, but it got me thinking… We were riding at a base altitude of about 7,880 feet before climbing up even higher into some of the area’s mountains and lookouts. As a result, Ol’ Faithful was starving for air and running out of steam on her top end. I knew this would be the case with my carburetor’s sea level jetting, but I’ve ridden up there without rejetting before, and the altitude’s effects weren’t so bad that the bike was unrideable, but there was definitely a noticeable loss in engine performance. If I lived there, or spent considerably more time, I’d certainly have the carb properly tuned, but for a weekend trip, I’d manage just fine. Some riders in our group weren’t so fortunate, as their bikes either ran like they inhaled a chipmunk, or just simply said, “nope.” I’d hate to drag my motorcycle all the way up to one of the most beautiful riding landscapes only to have it sit at camp all weekend long, while everyone else was out having the time of their lives. I couldn’t help but think how the Alta EXR would have been completely unfazed by it – 50 horsepower and 42 lb-ft of torque at sea level is 50 horsepower and 42 lb-ft at 7,880+ feet, or any elevation for that matter. It’s certainly one of the EXR’s benefits. But not everyone lives at altitude – I get that – so maybe the Alta’s lack of need for tuning isn’t enough to sell you on it. But what about its lack of maintenance, other than keeping air in the tires, chain lubed, and battery charged? Or its instant power delivery at any speed? Are we getting any warmer? There’s really something sweet about being able to twist the throttle without ever worrying about bogging or stalling. 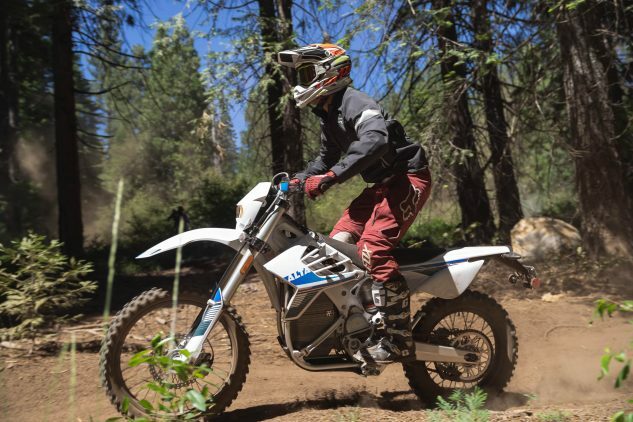 Riding an Alta is unlike riding anything else – it’s stupid fun – and anyone who’s ridden one would most definitely agree – I’d bet my grandma on it. Still, it’s hard to justify spending $12,495 on a motorcycle that needs to find a power source after just 60 miles, or less. On the bright side, Alta claims the 2019 Redshift EXR with its new software takes only 1.5 hours to charge from fully dead on 240v, and 3 hours on 120v, which is twice as fast as the 2018 model. 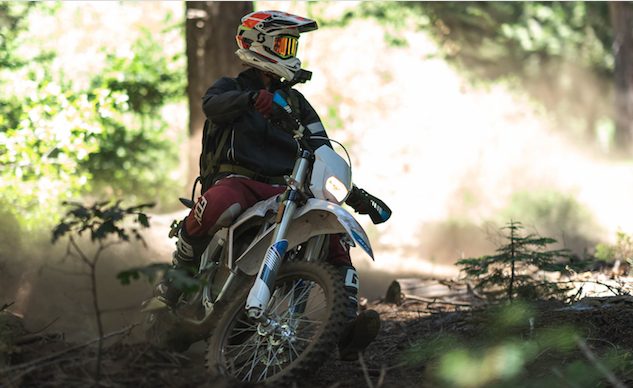 Additionally, whenever a new generation Alta comes out with improved mapping or system updates, a dealer can download those same settings and upload it to your bike to keep its current current. Alta’s technology and their Redshifts are only getting better, at an almost exponential rate, and to top it off, their prices keep falling. In a couple years, these things are going to be the real deal, and range will no longer be a concern. But for now, unless you’re a top-level rider, you’ll probably run out of steam before the Alta does. Being able to legally ride the EXR on the street is another huge benefit. Whether connecting trails, commuting, running errands or riding right out of your driveway and up into the mountains/woods/desert or whatever, there’s no need to load and unload a pickup truck or trailer. If you haven’t had the opportunity to ride an Alta yet, we urge you to humor yourself and give it a shot. It’ll blow your mind. 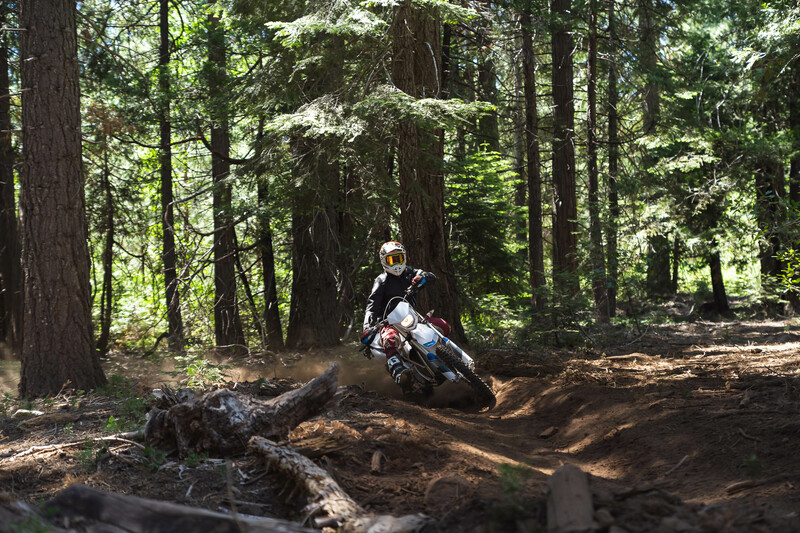 Get price quotes for Alta from local motorcycle dealers.